New Delhi : Great news for Delhiites! It is time to enjoy a comfortable metro ride between the city center and sector 62, the electronic city as Prime Minister Narendra Modi will show green flag to start the metro line, during the event organized in Greater Noida's Knowledge Park 2 today. The new metro will start boarding people from 4 pm onwards, today. Prime Minister Narendra Modi and Chief Minister Yogi Adityanath will attend the inaugural program of Pandit Deendayal Upadhyay Archeology Institute, Greater Noida on March 9, 2019. In the meantime, the inauguration of the 6.675-km metro corridor will be inaugarated from Prime Minister's Hathane City Center to Electronic City. 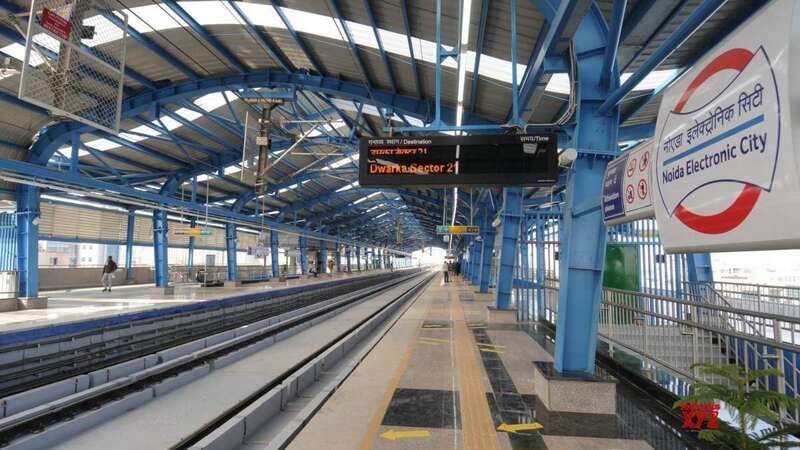 Union Minister of State (Independent Charge) Housing and Urban Affairs, Hardeep Singh Puri, UP's Excise and District Incharge Minister, Jay Pratap Singh will be present at Electronic City Metro Station. Two large LED screens in the Metro station will broadcast the address of Prime Minister in Greno. Apart from this, a screen has been installed on the platform. When the Prime Minister will show green flag, the metro will be transported from the city to the city center. Electronic City Metro Station is built on the border of Noida and Ghaziabad. That's why people of neighboring city Ghaziabad will also get the benefit. Noida's sector-59, 61, 62 and 63 will be easier for those who work in the Corp Office and Industrial Units. Metro connectivity will add hospitals like Noida and Delhi's Fortis, Life Care, AIIMS, Gangaram and Safdarjung. The journey of six stations between the city center and the electronic city will be undertaken in 12.23 minutes. During the peak hour, Metro service will be available at an interval of 5.26 minutes. According to DMRC, the parking facility at the Metro Station of Sector-52 and Electronic City has been made available. There is no provision of parking on other four stations sector-34, sector-61, sector-59 and sector-62.